Wanted. Bamf. 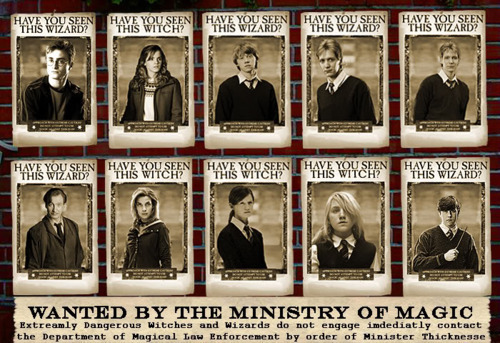 Wallpaper and background images in the Harry Potter Vs. Twilight club tagged: wanted poster ministry. This Harry Potter Vs. Twilight photo contains penitentiaire inrichting, penal facility, bedrijf mobiele, holding cell, and bedrijf cel. There might also be glas in lood raam, glasraam, gevangenis, jailhouse, gerinkel, slammer, miezerige, pokey, jail, gaol, clink, poky, gevangenis jailhouse, cel, gevangenis cel, and gevangeniscel.